The Saudi government appeared to give in to international pressure yesterday after it announced it would delay the next round of 50 lashes for Raif Badawi. Badawi is a blogger who was sentenced to 1,000 lashes and ten years imprisonment for insulting Islam. His sentence provoked sharp criticism from the global community. Amnesty International has led a campaign to draw attention to the sentence, and a number of states have condemned it. Yesterday, the Saudi government announced it would “delay” the second round of 50 lashes for medical reasons, and the Saudi Supreme Court announced it would “review” the decision. Badawi’s case raises a number of important questions, both centering on liberal notions of freedom of expression and more broadly on the effectiveness of public pressure on state behavior. What do you think? Should liberal notions of freedom of expression constrain governmental behavior? Do claims that the decision here is intended to protect religious freedom mitigate concerns over freedom of expression? Why? And do you think that international pressure, such as that brought by Amnesty International, can be effective in changing the behavior of the Saudi government in the longer term? Do states care about international public opinion? Why? A woman violates informal Saudi laws prohibiting female driving. Women in Saudi Arabia have been engaged in an ongoing protest demanding the right to drive be granted. While technically not illegal, women in Saudi Arabia have been subject to arrest and prosecution for attempting to drive. While declining to cite what laws were being violated or what punishments might be doled out, the Saudi Arabian Interior Ministry spokesperson, Major General Mansour Al-Turki warned women that “All violations will be dealt with—whether demonstrations or women driving. No just on the 26th [a day scheduled for demonstrations]. At all times” At the same time, conservative Saudi religious leaders warned women that driving could damage their ovaries and create health risks and cause children to be born with “clinical problems.” Saudi Arabia maintains very conservative traditions, particularly in the area of women’s rights. The World Economic Forum’s Global Gender Gap report ranked Saudi Arabia 130th out of 134 countries in gender equality. Saudi Arabia was the only country to earn a score of zero in the area of political empowerment. Saudi law requires all women have a male guardian—usually a father, brother, or husband—who has rights over women’s marriage, travel, education, employment, and other decisions. Women in Saudi Arabia comprise just 17 percent of the country’s workforce, one of the lowest female labor market participation rates in the world. However, some progress is being made in securing equal rights for Saudi women. In 2011, King Abdullah issued a declaration granting women the right to vote and run for local elected office beginning in the 2015 election. But in the economic and social spheres, much work remains to be done. 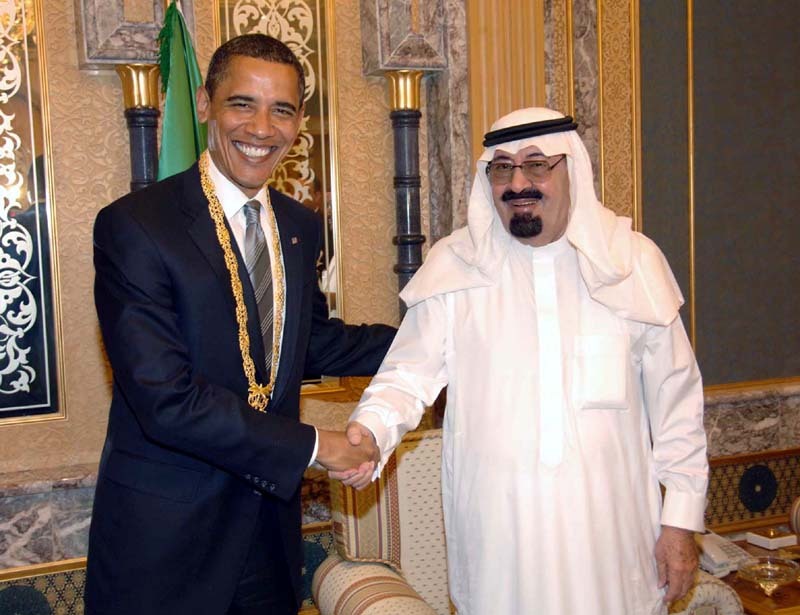 Saudi King Abdullah greets President Barack Obama in 2009. Less than 24 hours after being elected to the United Nations Security Council, the government of Saudi Arabia surprised the international community (and its own diplomats) by declining the seat. It’s the first time any country has rejected a seat, which are highly coveted because of the increased influence and prestige they afford a state. Most observers believed that Saudi Arabia’s role on the Security Council could increase pressure on the organization to address the crisis in Syria, the Iranian nuclear program, and the Israeli-Palestinian dispute. 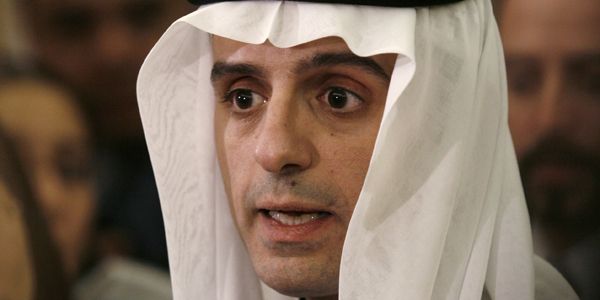 But in declining the seat, Saudi officials run the risk of undermining the influence of the country more broadly. As one observer put it, “This is very bad for the image of the country. It’s as if someone woke up in the night and made this decision.” It’s clear that the decision could only have been made at the highest levels, likely requiring the direct approval of King Abdullah himself. Winning the seat required more than two years of diplomatic maneuvering and courting of support in the United Nations General Assembly. But in doing so, Saudi Arabia was also forced to move away from its preferred diplomatic style of discrete negotiation. What do you think? Did Saudi Arabia make a mistake in declining the UN Security Council seat? 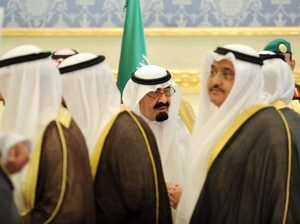 Or does the move give the Saudi government greater leeway in addressing issues of concern to it? Take the poll or leave a comment below and let us know what you think. 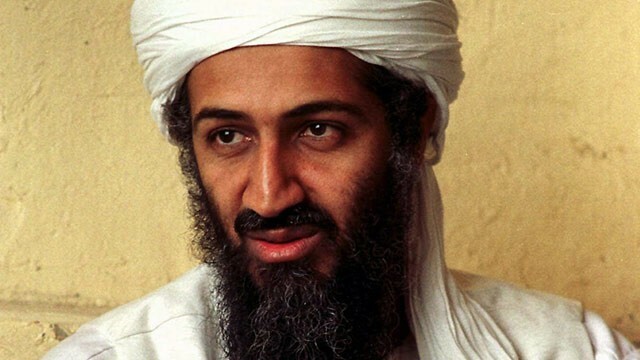 Was Osama bin Laden a Sunni or Shiite Muslim? Can you identify the ruling sect in Iran, Iraq, Saudi Arabia, and Syria? Today’s Formula 1 race in Bahrain occurred without incident, but many observers had feared violence would mar the festivities. This is because Bahrain, like several other countries in the region, is experiencing ongoing unrest pitting anti-government protesters against the ruling authorities. And, as in other Middle Eastern countries, this clash has broken down along sectarian lines, with Sunni Muslims and Shiite Muslims vying for power. * In Iraq, the Sunni minority (which was in power under Saddam Hussein) is now facing a resurgent Shiite majority which controls the parliament and much of the executive branch. This struggle involves political competition and violence, although one commentator argues much of the violence is really about jihadism rather than sectarianism. * Like in Saddam Hussein’s Iraq, Bahrain’s minority Sunnis enjoy power over the majority Shiites. Sunnis have now mobilized to protect the regime and crack down on protesting Shiites. * Saudi Arabia, a leading Sunni power, has intervened in Bahrain, Egypt, and Syria with military, economic, or political tools to help support the rise of Sunni actors and the defeat of Shiite forces. * Iran, the region’s leading Shiite power, has close ties with Lebanon’s Hezbollah and Syria’s ruling Alawite sect. The Alawites split off from Shia Islam over 1,000 years ago and consider Iran an ally in maintaining power against Syria’s restive Sunni majority. Despite the importance of the Sunni-Shiite distinction in understanding today’s Middle East, many American policymakers (even some counter-terrorism officials) have displayed their ignorance on this point. See this Op-Ed piece from Congressional Quarterly national security editor Jeff Stein for examples drawn from Stein’s interviews with U.S. officials. It’s easy to scoff at these answers, but can you do any better? Take this quiz on the differences between Sunni and Shiite Islam and see how well you do.